For one disabled Texas veteran a 13-year long legal battle with the VA just came to a successful end. After years of doing battle with VA and enduring the excessive delays at the Houston regional office, service connection was finally granted to our client who suffers from a severe spine disability. 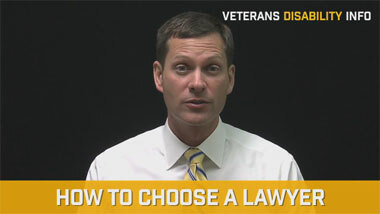 As a veterans disability lawyer, we employed some strategies that I will detail in this article. Here are the basic facts. Our client enlisted into the Army in the early 1970s and was examined for induction purposes. No defects or problems were found relative to his spine. During basic training he suffered an injury that resulted in a fracture to his thoracic vertebrae. During his treatment he mentioned that he previously fractured a lumbar vertebrae a few years earlier while playing high school football. This "admission" was recorded in his service treatment records. Years later when he filed his claim, the VA jumped all over the entry relative to the high school football injury, suggesting that his injury pre-existed service. But the problem for the VA was that there were no defects of the veteran's spine noted at induction. So, VA was put in the position of having to prove that the in-service fracture to the thoracic vertebrae really pre-existed service. And VA had to prove this fact to a high degree of proof--clear and unmistakable evidence. Our client kept insisting that his pre-service injury was to the lumbar spine and not the thoracic spine. The VA didn't buy it. So here's what we did. We tracked down the orthopedic surgeon who treated him in 1967. Although his records from that era were no longer available, he indicated that based on the treatment he provided to the veteran, the injury did not likely involve the thoracic spine. The now retired surgeon wrote two very detailed reports. We also tracked down the nurse who treated him for the pre-service injury. She provided a sworn affidavit that the veteran presented to the hospital in 1967 with complaints to the lumbar spine. Despite evidence from the treating clinicians involved in the veteran's care prior to service, the VA examiners and the Houston Regional office continues to insist that the condition existed prior to service. As a veterans benefits attorney, we know from experience that continuing the appeal often results in victory. And that's what happened here. This case was taken all the way to the U.S Court of Appeals for Veterans Claims. Our team of veterans benefits lawyers succeeded in getting the matter overturned on appeal and eventually granted. 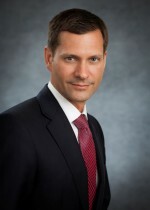 The secret to success in this case was boxing the VA into a corner using the presumption of soundness and understanding the formidable legal hurdle it has to clear to satisfy the standard of clear and unmistakable evidence. As a veterans disability attorney I knew that there was no way VA could establish that the pre-service injury was not to the lumbar spine. Thus, making the pre-existence of a thoracic fracture debatable at best. 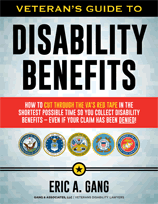 As a veterans disability lawyer I also knew that I had a clear diagnosis of a thoracic fracture in service and no possible way for VA to prove, by clear and unmistakable evidence, that it existed prior to service. 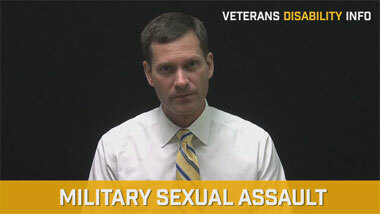 Therefore, even though VA strongly believed his injury occurred prior to service, there was no way, legally speaking, for them to get around the presumptions. We were able to create enough doubt so as to prevent VA from reaching the high legal standard of clear and unmistakable evidence. For those that may be unfamiliar with the process when dealing with pre-service injuries, if a veteran is not shown on induction exam to have a disease or injury, he is presumed to be in sound condition. If so, VA can overcome this presumption by showing by clear and unmistakable evidence that the condition exited prior to service. Evidence of this nature is undebatable. Meaning, if reasonable minds could differ, the evidence is not clear and unmistakable. VA appeals lawyers are familiar with the shifting burdens of proof when dealing wtih pre-service injuries. The final result in this case is vindication after 13 years of appeals. Our client was hoping to use some of this money to better provide for his wife. But she passed away from cancer during the pendency of this long appeal. Sadly, she never got to see her husband's vindication. So, this positive outcome also underscores the problem of VA taking too long to resolve appeals. As a veterans disability lawyer, we see the thrill of victory but also the devastation that can occur when VA delays the process for years.